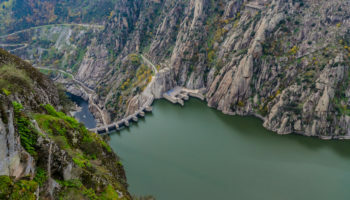 Located on the western coast of the Iberian peninsula, Portugal is one of Europe’s most visited countries due to its idyllic climate, affordable travel costs and exceptional attractions. 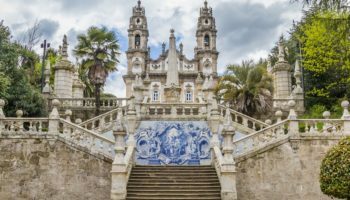 The richness of Portugal’s heyday – when it used to rule a huge empire from Brazil to Macau in China – is something you can definitely see in its architecture. 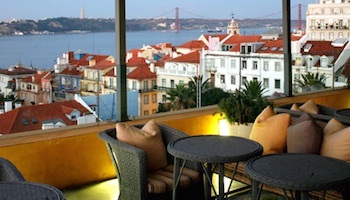 Elegant and drenched in opulence, the buildings of Lisbon and Porto – especially in their respective Old Towns – certainly reflect the wealth of Portugal’s imperial days. The Algarve in southern Portugal is a long stretch of towns and beaches from Lagos to Faro. Hotels and golf courses jostle for space in this famous region of the country. 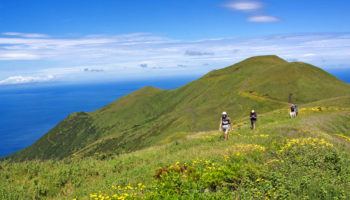 Hiking along the Algarve offers great coastal views, but taking a trip to one of Portugal’s islands – like Madeira or the archipelago of the Azores – is a whole other world of beauty. Here’s a look at the best places to visit in Portugal. A charming city situated by the Mondego River in Central Portugal, Coimbra is home to a treasure trove of historic sites, beautiful gardens, the country’s second style of fado music, and a lively culture that is centered around one of Europe’s oldest universities. One of the best things to do in Coimbra is to simply get lost and discover the many historic attractions from the stunning Old Cathedral to the Gothic Monastery of Santa Clara-a-Velha, which contains the tomb of Queen Isabel. No trip to Coimbra would be complete without a visit to the University of Coimbra to admire one of the world’s most beautiful libraries, the Joanina Library. The Archipelago of the Azores is composed of 9 volcanic islands in the Atlantic Ocean, located about 1,500 km (930 miles) west of Lisbon. Renowned for world-class whale watching, hot mineral springs, and quaint seaside towns, each island has its own fascinating identity. São Miguel is the largest island of the Azores and is known as “The Green Island” while Pico is home to the highest mountain in Portugal. Hugging the country’s Atlantic Coast in Central Portugal, Aveiro is a bustling city often called “the Venice of Portugal” due to its picturesque setting of scenic canals connected by charming bridges and dotted with colorful gondolas and speed boats. Historic sites, gorgeous beaches and tasty cuisine also make Aveiro a popular tourist destination. Aveiro’s many sightseeing gems include the Aveiro Cathedral, the São Gonçalinho Chapel and the Convento de Jesus. These all offer lovely architecture and art works. Evora may be a small town in the Alentejo plains region of southern Portugal, but it packs huge tourist appeal. With a history dating back more than 2,000 years, Evora was once a flourishing city under Roman rule. 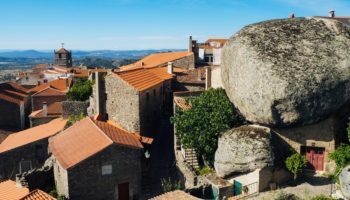 Today, Evora is the capital of the Alentejo region, regarded for its well-preserved Old Town, which shelters more than 4,000 historic structures including the old Roman walls and temples. Another highlight is the 13th century Cathedral of Evora, one of Portugal’s most important Gothic structures. Not far outside the city is Europe’s largest complex of prehistoric megaliths that are also worth a look. 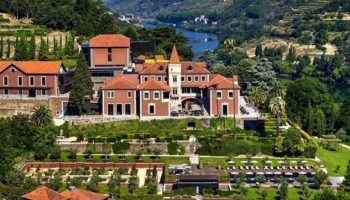 World famous for its production of fine port wine, the busy city of Porto sprawls along the hills overlooking the Douro River in northern Portugal. At the heart of Porto is the charming pedestrian zone, the Ribeira, an atmospheric place on the river, buzzing in live music, cafes, restaurants and street vendors. 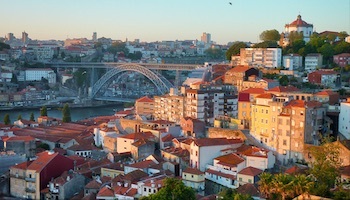 Dominating this popular tourist setting is the Ponte Dom Luis, a metal, double-deck arch bridge that links Porto to Vila Nova de Gaia, well-known for its port wine cellars. Sporting the nickname “Floating Garden of the Atlantic,” Madeira is a fertile oasis in the Atlantic Ocean between Portugal and North Africa, popular for its lush green landscapes, flower gardens and wines. Must-see places in Madeira include the Orchid Garden and the Laurissilva Forest, which harbors the world’s largest concentration of laurel. The capital and largest city on Madeira is Funchal, home to historic churches, fortresses, tourist resorts and restaurants as well as the tree-lined Lido Promenade, which presents spectacular ocean views. Nestled in the foothills of the Sintra Mountains on the Lisbon Coast, just a day trip away from Portugal’s capital city, Sintra presents a spectacular setting of verdant hills, sprinkled with pretty villas, royal retreats, castles and palaces such as the famous Pena’s Palace, a fantastical castle reminiscent of Germany’s Neuschwanstein. Built in the mid-1800s and serving as a summer retreat for the Portuguese royal family, Pena’s Palace is surrounded by forested parklands containing exotic trees, plants and flowers. Also not to be missed are the ancient ruins of the Castle of the Moors crowning the city’s highest hill, and the romantic Monserrate Palace with its subtropical gardens. 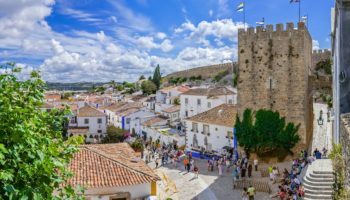 Located on a hilltop in the Centro Region of western Portugal, Obidos is encircled by an old fortified wall. Besides the wall, the magnificent medieval castle and historic center of Obidos make up the city’s main attraction and can easily be walked. A labyrinth of narrow, cobbled streets leads visitors along busy squares, inviting cafes, quaint shops and whitewashed houses spruced with colorful flowers. The castle with its commanding edifice, huge gates, towers and battlements, is now a luxurious hotel but a marvel to behold nevertheless. 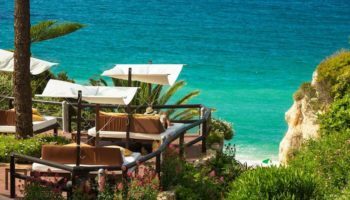 Sunny Mediterranean climate, gorgeous beaches, picturesque towns, historic sites, fabulous cuisine and affordable costs are just some of the reasons that make the Algarve one of the best places to visit in Portugal. Located in the country’s southernmost region, the Algarve offers a feast for the eyes, from tranquil landscapes of olive groves, traditional whitewashed villages to the wild, windswept coast with its dramatic cliffs dotted with summer resorts. Faro is the region’s capital, and Lagos is the area’s hot spot for nightlife. Looped by orange groves, Silves is best known for its red sandstone castle, while Tavira is an elegant town packed with Renaissance monuments, bridges and castles. Stretching along the banks of the Tagus River near the Atlantic Ocean, Portugal’s capital and largest city winds upward among seven steep hills, forming an enchanting destination of warm weather, alluring alleys, quaint shops, Gothic cathedrals, impressive bridges and colorful neighborhoods, reverberating in traditional fado music. 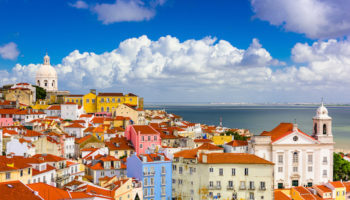 The city’s oldest district is Alfama, an old Moorish quarter, distinct for its maze of cobblestone streets, rustic architecture and St. George’s Castle. The best way to experience Lisbon is by taking one of the vintage trams such as the well known Tram 28, which winds along historic quarters, gardens and main attractions. 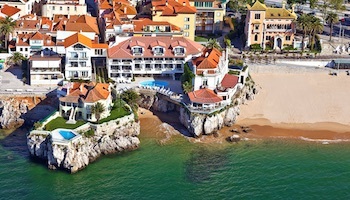 Which destination do you consider the best place to visit in Portugal? what about Braga? the city of baroque, the city of the archbishops, the Portuguese Rome, the city of the three P’s, the city with the always open door, etc. etc. It is impossible to understand that Braga is not in this list! Highly recommend visiting, it is beautiful! Thanks @Dominic, I’ll update the article.